In today’s post, we bring to you another list of free tools useful in running your projects. These tools do not only help you in planning, organizing and managing your resources to achieve your goals but also best in working together with your project team members or clients. Project management tools basically help you in dealing the complexity of large projects such as estimation and planning, scheduling, cost control and budget management, resource allocation, collaboration software, communication, quality management and documentation or administration systems. These tools can be used easily without the need of installing a software into your system. 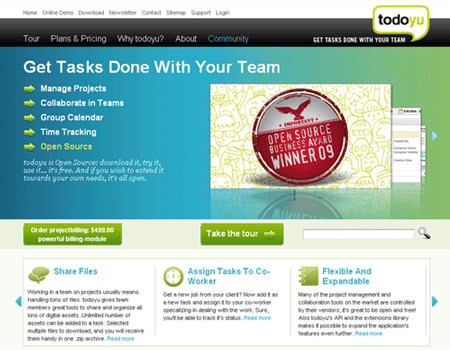 Here is our list of 12 Efficient Open Source Project Management Tools useful in managing multiple projects. Check out this list and prove it yourself how effective these tools are to work with. Enjoy! Collabtive is a free web-based project management software that allows teams to collaborate on projects, manage tasks, milestones, and files, and send instant messages to each other. 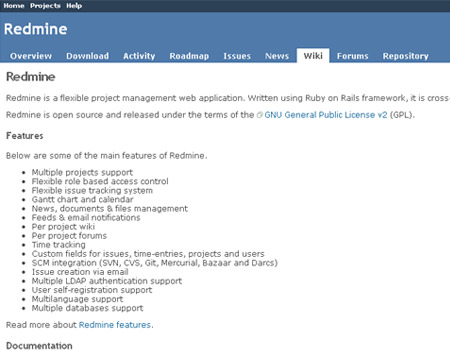 Redmine is a free and open source, web-based project management and bug-tracking tool which includes a gantt chart, calendar, wiki, forums, multiple roles, and email notification. 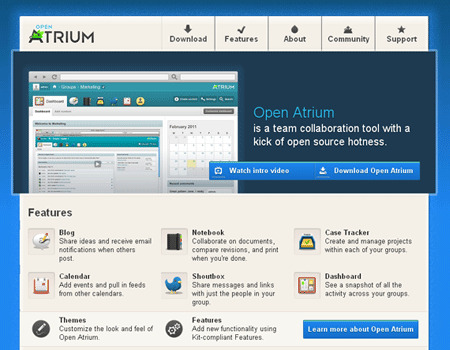 Open Atrium is an intranet in a box that has group spaces to allow different teams to have their own conversations. Trac is an open source, web-based project management and bug-tracking tool which allows hyperlinking information between a bug database, revision control and wiki content. 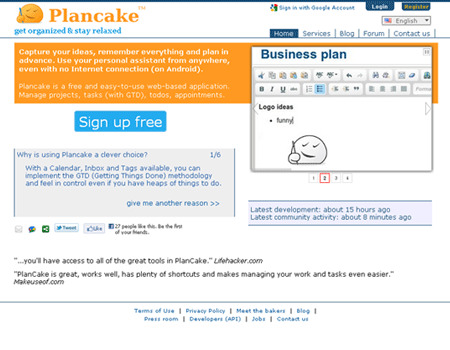 Plancake is a free online task management software that will let you use a calendar and an inbox in order to apply a Getting Things Done methodology. Project HQ is a collaborative open source project management tool somewhat based on activeCollab and Basecamp which is built using open source technologies like python, SQLAlchemy and Pylons. KForge Project is free and open source project managing software which integrates a variety of common applications with a flexible and robust project management and access control mechanism. 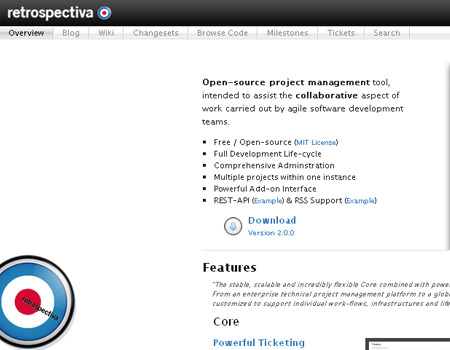 Retrospectiva is an open source, web-based agile project management tool based on ruby which is focused on development teams. Todoyu is a modern and awardwinning open source project and task management system designed to help you manage projects, track tasks and collaborate. 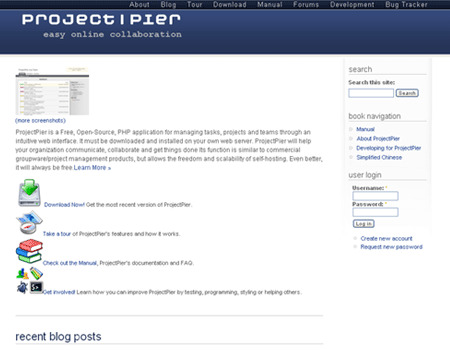 Project Pier is an Open-Source, self-hosted PHP application which helps connecting teams, organizing projects & tasks through a web interface. 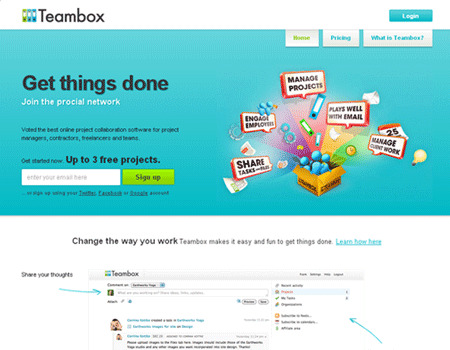 Teambox is an open-source project collaboration software which can be used to create unlimited projects. eGroupWare is an open-source, web-based groupware application which enables you to manage contacts, appointments, todos and many more for your whole business. Great list of useful tools. Thanks for sharing these. Hey another tool which I would like to add to the list.The tool is DeskAway. Do give it a try.Its powerful & feature rich. Is workfocetrack an open source solution? Thank you for this list. 2 weeks ago I started to search for a free project management tool. I found Collabtive and installed it. Collabtive is really a great and simple tool for project management (task management and multiple users is really great). Anyone know of any open source project management systems with decent email functionality built in? The time has come to switch away from Feng Office we’re thinking but trying to find others that allow you to set up POP / IMAP email in seems few and far between.